For someone who professes to have fallen into arts by accident, Jamie Beddard has had a productive career as an actor. 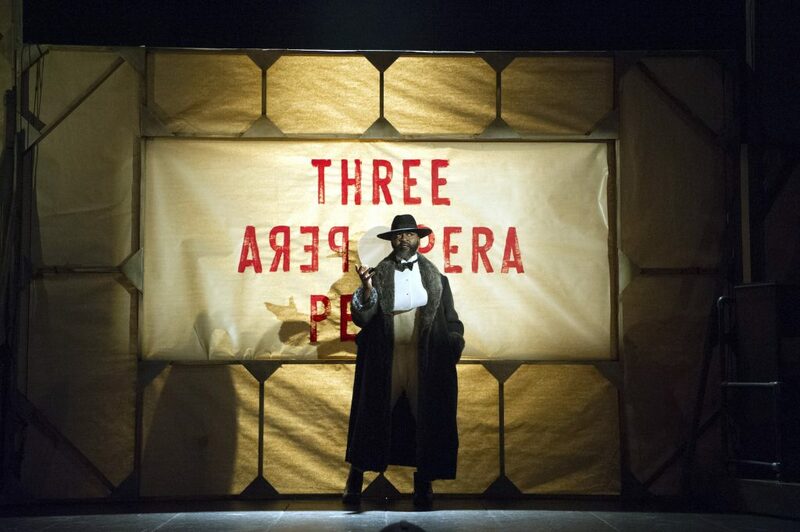 He is currently working with The National Theatre, playing Matthias – one of Mack the Knife’s notorious henchmen in a lavish production of The Threepenny Opera. Colin Hambrook asks him about the production and how he feels about the current state of disability, diversity and creativity. “Well, I’m having a great and surprising time. I never imagined I’d end up working at the National Theatre. I’m in a radical production that I believe in, am excited by and has a vital political resonance for these fairly bleak times. I love being an actor. It often feels like being back at school, mucking about with your mates. Of course, all is based on a foundation of extreme rigor. And The National treat you really well; they’re going to find it hard to get rid of me. I met the Rufus Norris, the director, we had a 10-minute chat, I asked him if he wanted me to read, he said ‘not particularly’ and offered me the role. Best audition process ever, very instinctive. 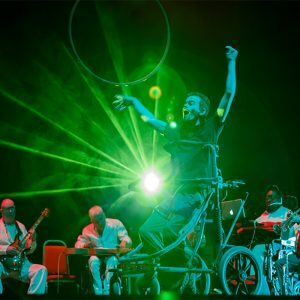 Rufus, and The National are on a journey around disability, are committed to employing more disabled performers and open, rather than precious, around working collaboratively to ensure greater inclusion and opportunity. This openness is key to bringing people who don’t usually work together into the creative mix, alongside an understanding of the value and talent people from diverse backgrounds bring to the table. Rufus instinctively gets the Creative Case, understanding these principles that ultimately make for more relevant and interesting theatre. The Threepenny company is diverse beyond me. It’s refreshing not to be the ‘diverse bloke in the corner’ but part of a diverse company – age, gender, race, sexuality. It’s never been talked about in a formal way, but is rather, just the way it is. And that’s the way I want to work; implicit, rather than explicit. The fact I haven’t had to talk about diversity since I’ve been at the National in the last 3 months is very gratifying. The National still has some way to go, but is now hopefully, taking the issues seriously, and taking steps to ensure that diversity becomes core, rather than the add-on that quickly falls from agendas. I also worked closely with writer Simon Stephens on Threepenny to ensure the audience familiarized with my differing speech pattern. 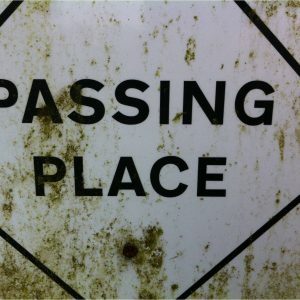 Simon came up with the brilliant conceit prompting a fellow gang member who forgot words or lines, leading him to echo my reminders in a natural and unaffected way. Thereby allowing the audience to get used to my speech pattern, before milking my climatic monologues! I am keen that disabled people come along to the show, and have thus far, not been very proactive in getting the word out amongst the disability community. 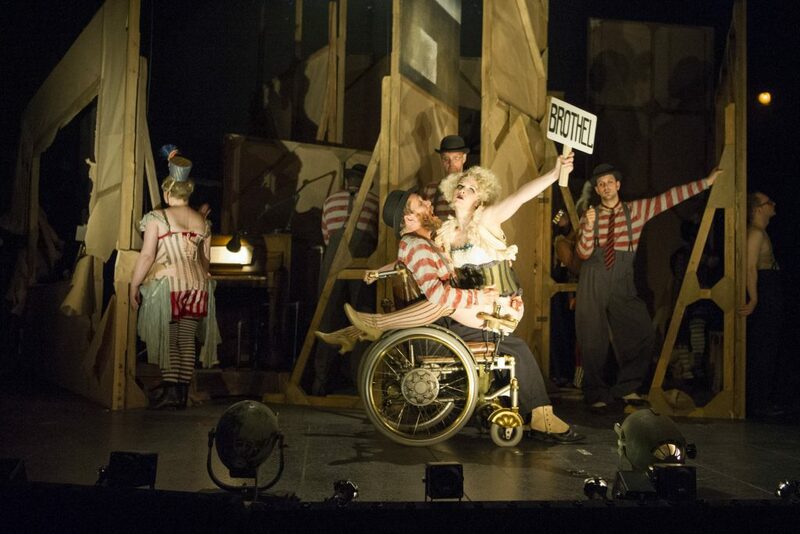 One blogger writing about Threepenny, said “my mate was so angry because they had someone pretending to be disabled on stage”, that they left at the interval. They were slightly taken back upon being assured I was disabled: an example of the weirdness and contradictions often faced by disabled performers, and a first for me, to be harangued for being non-disabled. I have relied on mavericks throughout my career; people prepared to go against assimilated norms, and recognizing the creative imperative and excitement found in different bodies, talents and aesthetics. There are more opportunities than when I started out, and luckily some of these mavericks are now in positions of power, such as Rufus, Sarah Holmes at New Wolsey Theatre and Jude Kelly at the Southbank Centre. They understand that diversity is not an abstract but a lived reality, and key to making work that reflects, represents and enlightens. I’d like to see theatre become more inclusive. I love football and having relaxed performances makes theatre more like football. You should be able to go to theatre and engage with it. Theatre should be reaching out to as many different communities as possible – and be used like a civic resource – somewhere that makes people feel comfortable and welcome. It’s not rocket science. Suddenly when you get something happening that connects and makes people ask ‘Is this about me?’ then they’ll be more likely to come along. That’s the creative case in action, in a nutshell. It is a scary time to be a disabled person, and so many of my contemporaries are desperately struggling, both, to work and survive. I feel a responsibility to the majority of disabled people who are finding life increasingly difficult, as Access to Work, the Independent Living Fund and care packages are savaged, and any gains we have made over last thirty years are consigned to history. Claire Hodgson, my Co-Director at Diverse City makes the point that in order for women to get the vote, men had to vote for it. This is a good lesson, and we require allies in our fight against the erosion of our rights and dignity. 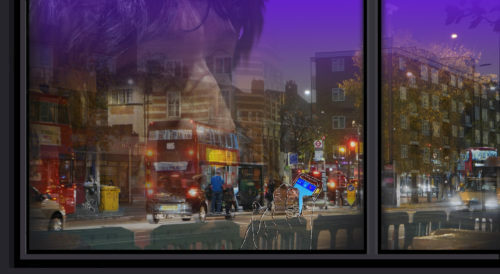 As well as treading the boards of the National Theatre Jamie Beddard is part of the creative team at Diverse City working on the Extraordinary Bodies programme. Doing Things Differently is a new event for Bristol and the South West due to take place in Bristol from 16-18 December. The programme of performances and workshops aims to share ideas that are changing the face of performance regionally and nationally. Tickets are £15, with a companion at the same price. Loads of good stuff in this interview. If I can get to see this, I will. 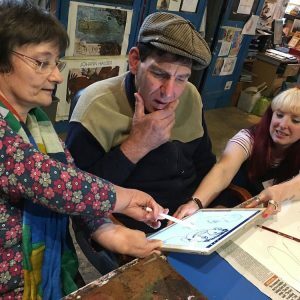 Disabled people having access to disabled artists – much work to do here.